Welcome to the fun facts thread! feel free to post any fun facts about the GTA series and any of the GTA games. I have one: Did you know that almost all the cars in GTA 5 that the player and characters own and drive are all new vehicles NOT imported from GTA 4? The 9mm and the RPG are the only weapons you can find in every GTA game. 1.Vice City Stories was the only game in the series that featured actual Empire Building . 2.You can explore freely to all three islands in GTA III at the beginning of the game using exploits. 3.Vice City Stories is a prequel to Vice City in which takes place two years prior to the events of Vice City & brings back many returning cast & characters. 4. In Vice City Stories during "In The Air Tonight" concert if you let the catwalk from the stage fall onto Phil Collins resulting a "Mission Failed!" the following quote under it reads "Phil definitely felt it coming in the air tonight..."
-The 3D era mimics the city/location progression from GTA 1 with Liberty City first, Vice City second and San Andreas third. -All the protagonists in GTA IV, EFLC and CTW have a "Grand Auto Auto" criminal entry on the LCPD database. -In GTA IV the side missions are always given in a different order. Brucie's exotic exports for example are not only given in a different order, but the vehicles change from scenario to scenario on different playthroughs. -Whether by coincidence or not TLAD could be seen as a blueprint for the story in RDR to the point that the protagonists and antagonists share almost identical names. Johnny = John and Billy = Bill. -Vice City introduced the first mall and airport terminal interiors. -Niko is the only protagonist to originate from Eastern Europe and the first to be born outside of the U.S. Though I guess Claude's a mystery as we don't know where that guy's from. Lets just say Niko's the first confirmed. -Another RDR related fact. The introductions of GTA IV and RDR share striking similarities with how they both show a boat and a ship docking and cars being lifted off with a crane. -In GTA III Phil Cassidy's missing his left arm. In Vice City it's his right. GTA III is the only 3D game to have the top down camera option. 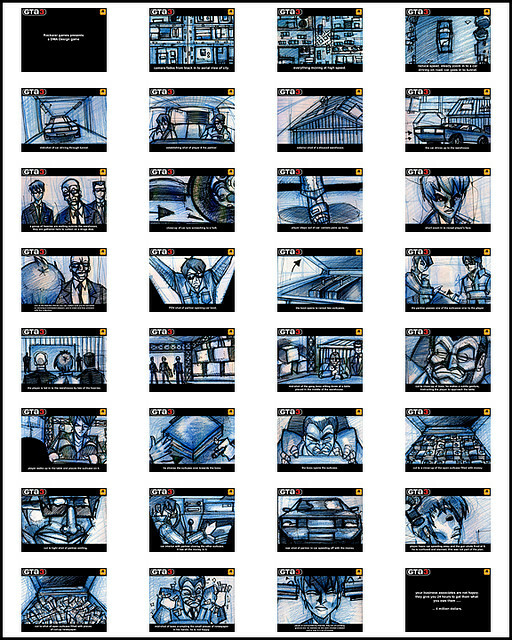 GTA 2 is the only game to not have any kind of cutscenes. GTA V Arms Trafficking (ground) side mission is inspired by the R* game Smugglers Run. GTA V is the only game where the main antagonist can survive. 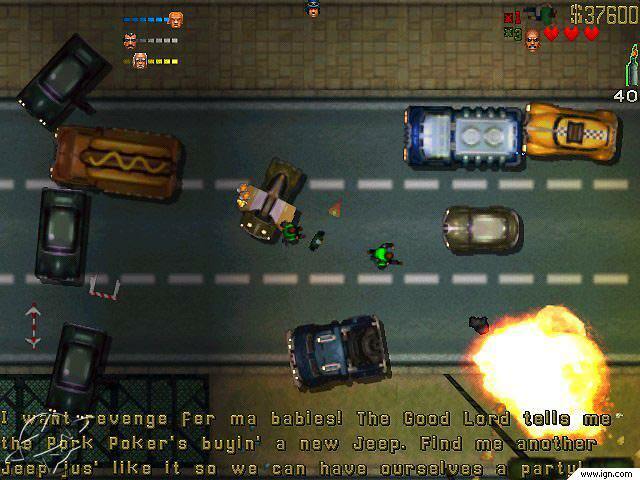 Pretty well known at this point, but GTA (1) was originally conceptualised as a game called "Race 'n' Chase" in which you'd be either a cop or robber. To go further than that GTA is only what it is today because during testing the cops glitched out running into player giving R* (then DMA Design) the idea of the GTA concept. GTA 1 & Advance are the only games in the series to not be scripted by Dan Houser. - GTA Vice City's development has started only a month after GTA III's release. When R* called Lazlow to do the voice acting, his reaction was something like "Another one already?". - 9/11 attack in 2001 barely affected GTA (they said only 1% of the game was changed). - GTA 4 (and EfLC) is the only game where you can shimmy left or right while holding onto the edges of something high (e.g. buildings). - In GTA:SA, the mission 'St. Mark's Bistro' was different (and better) in the beta. Apparently, there was a cutscene with CJ landing his plane in Shoreside Vale, and you had to chase the Forellis troughout Portland. Unfortunately, due to PS2's hardware limitations, it wasn't possible. 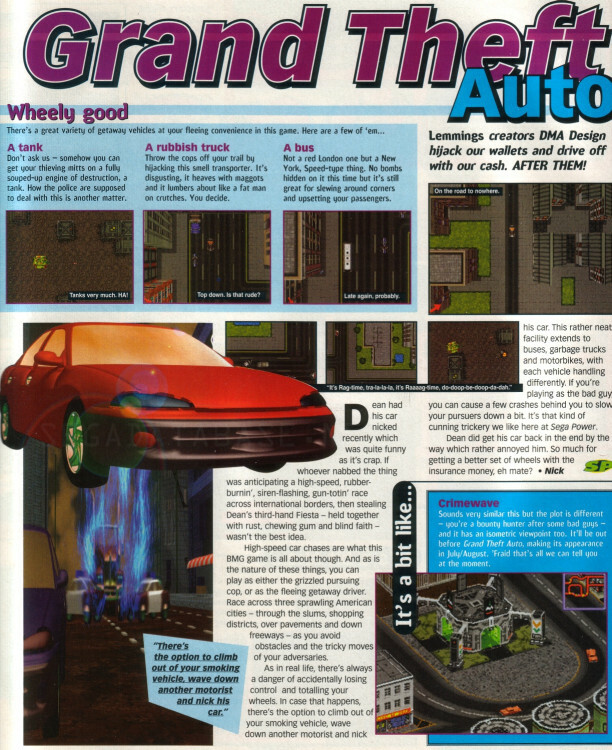 GTA III was originally named Grand Theft Auto 3D, and was supposed to have a logo similar to that of GTA 2's. The opening cutscene to the game was supposed to show the franchise's transformation from top-down 2D to full 3D. 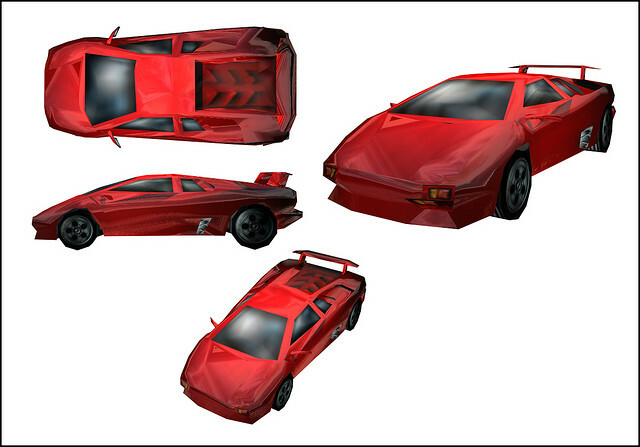 The first car models made especially for GTA III were the Banshee and Infernus. The Banshee looks mostly unchanged but the Infernus was much closer to a Lamborghini Diablo. However, the first 3D car model made by Rockstar for use in a GTA is a car that potentially evolved into the Kuruma. This magazine shot is from early 1997. Another photo from the same time period. as it can be heard in the background on Game Radio before it cuts off. Guess Eminem's asking price was too high, or this was just as the feud between the two members of Bad Meets Evil had got underway. A reference to Duran Duran made by Toni on Flashback FM was censored via radio static but can still be heard in much lower quality on the official GTA 3 website. And finally, this thread of mine. V4 screwed up formatting, decided to reformat post. 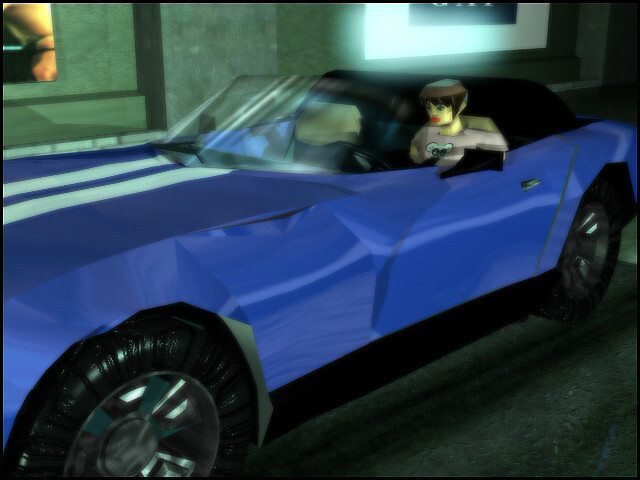 Except for emergency vehicles and Taxis, the civilian vehicle that appears in the most games is the Stallion, appearing in 12 of them (I, III, Vice City, San Andreas, LCS, VCS, IV, TLaD, TBoGT, Chinatown Wars, V and Online). It's one of the few vehicles, if not the only, introduced in GTA I that appeared in all universes with little to no changes. - Pistol and Rocket Launcher are only two weapons that were featured in all GTA games. - Footage from GTA 2 was used in video clip to song Wankers On Duty by Da Hool. - GTA London 1961 needs both GTA and London 1969 to be installed, which theoretically makes in DLC for DLC. Actually, Banshee has appeared in 12 too, expect it was in Advance except 1. GTA 2 is the first game to feature day and night, articulated trucks, saving system and working headlights and brake lights. GTA: London 1969 is the first game to feature car tuning system. Travis (one of playable characters in GTA 1) is based on Taxi Driver played by De Niro. In the 3D era only the Black main protagonists can swim. - GTA III and VC originally had a first person view mode. - In GTA Vice City (and LCS afaik) if a cop is chasing a criminal, and you punch the criminal, you will get a 'Good Citizen Bonus' (50$). punch the cop => the criminal will thank you and run away. punch the criminal that's running => the cop will thank you and arrest the criminal. - In GTA IV, you can access the 'Camera' on your phone inside the train/metro, thus allowing you to see the interior of it freely. - GTA IV originally never had ragdolls/Euphoria. - GTA V won 7 Guiness World Records in less than a month, most of them being something done under 24 hours (e.g. sales). - Option C originally allowed you to kill Franklin, thus unlocking Lamar as a playable character. The problem is, Lamar's voice actor had some personal problems and he couldn't really do the voice acting at the time. I heard that, IIRC wasn't it because he was in prison at the time? Also I thought Lamar was the reason why there was a fourth character slot, but if Franklin originally died then there would've been no point in doing that. IV without Euphoria would have basically been San Andreas with IV's assets. Very weird. I wonder if there are any sources for these two facts. First sounds like giant bullsh*t, since even Saints Row used ragdoll. It would be simply stupid to make a 2008 game without it. Second one was circling around, but there was never any confirmation for this. Sure, Lamar's role was meant to be bigger, but since he was locked up, R* had to reduce his appearance. He wasn't meant to replace Franklin after selecting ending C, though. Probably only during earlier stages of development before euphoria was implemented, if euphoria is disabled ingame pedestrians will resort to using animations when killed. that shows NPCs getting ran over and using San Andreas-like animations on their death, as well as the fact NPCs are programmed to use those animations if Euphoria/Ragdoll is disabled. The second part is backed up by how when you select to play as Lamar with a mod, NPCs will react to Lamar instead of Franklin (i.e. "Yo, Lamar!"). There might be more things to back this up but I'm not aware of them. - GTA 1 was going to have a port intended for the Sega Saturn, but it was ultimately scrapped. When you hold a certain button near a pedestrian, the protagonists can talk to them. Michael usually greets the person and compliments them 2 times, the 3rd time he insults them. Franklin also usually greets the person and compliments them 2 times, the 3rd time he insults them. Trevor insults everyone right off, except if it's a woman. If you turn into Lamar, he can also talk to NPCs in a similar way. - GTA London features wheelchair as a vehicle. - The cover art of Chinatown Wars is the only game in the series not to feature a helicopter in the top-left. Tommy was referenced in San Andreas by Ken Rosenberg. Liberty City was also depicted in GTA 1, so that means it was in 6 different games. Except for the 2D era games, GTA Advance and GTA Online which features a fighter jet. -The mission "Eye In The Sky" in GTA V is a throw back to the 2D era top down perspective and features a HD rendition of the Z-Type which was in GTA II. -The JB700 in GTA V is a nod to James Bond with 700 of course being 007 in reverse. -The Fixer and Faustin are voiced by the same voice actor. His full name slips me. Karel something? It's on GTA Wiki anyway. -The prologue in GTA V chronologically is the first mission in the HD era. -In GTA IV if you date Alex after every date she'll comment on her blog how big Niko's "junk" is. -Among all the cities that appear in the GTA's since the franchise toggled to 3D Vice City is the only one not to have a HD version. Between a main role and death there are always 4 years: As I wrote above Johnny Klebitz and Victor Vance are the only main protagonists who die in another episode. For each of these characters the game where they have the main role and the one where they die were released with a distance of 4 years. In the 3D-universe black is the color of freedom: Of all the 5 3D-era main protagonists 3 of them never came to prison (at least except if I'm wrong) before the game where they have the main role. Victor Vance and Carl Johnson are among them which makes the Black main character are over-represented among the main protagonist who've always been free despite being a minority since the 3 other main protagonists are White.